THE LATEST sample preparation products for epigenetics and regenerative medicine will be shown by Porvair Sciences at the forthcoming Achema 2012 exhibition in Frankfurt, Germany. 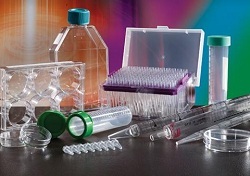 Visitors will be able to see Porvair’s growing range of tissue culture plastics, and the company’s new manual Pin Tools – disposable replicators for 96- and 384-well plate replication. Two further new exhibits are the MiniSeal Plus microplate sealer, and the Ultravap RC – Porvair’s all new robot-compatible nitrogen blow down station. Describing itself as a leader in the field of nitrogen blow-down evaporation, Porvair says this new version of its most popular sample concentrator makes it even easier to integrate an automatic dry down step into an automated liquid handling protocol.